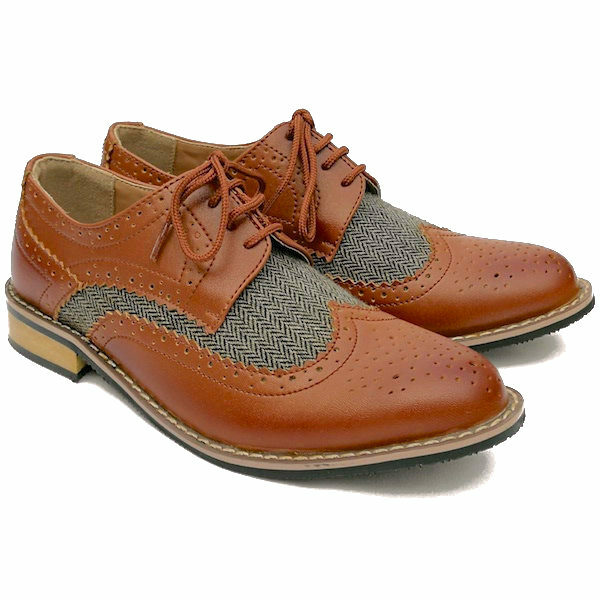 Boys brown & tweed brogue derby style pointed shoes, suitable for young boys through to junior, perfect to compliment a special occasion suit for a christening, wedding, celebration etc. Materials: Leather upper, textile lining, outer sole (other materials). Complete with all inside shoe packaging to keep the shoe in shape and presented in a black large shoe box. Please ensure all measurements have been checked prior to purchase. We do not advise you purchase based purely on their current size as they can be generous in length due to the style.